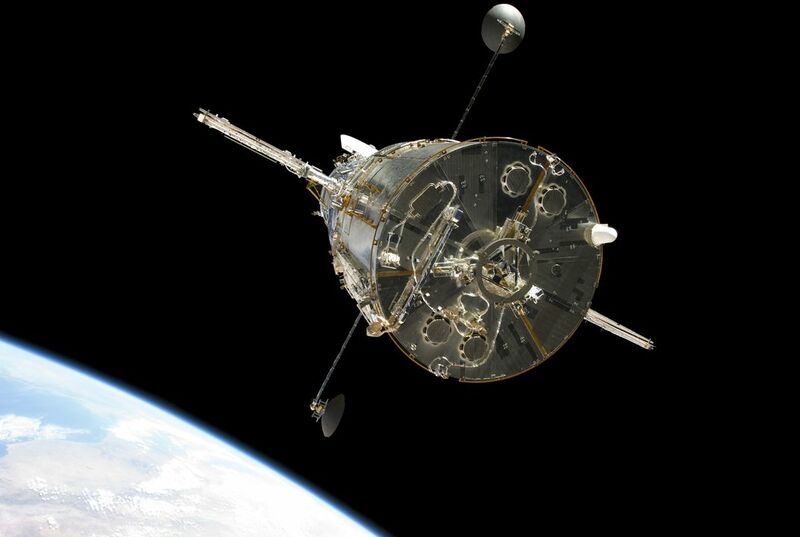 Over the last half-century, more than 2,500 satellites have followed the first one into space. What keeps them all afloat is a delicate balance between a satellite's speed and the pull of gravity. But if they're moving at the right speed, they fall at the same rate that the curve of the Earth falls away from them. Which means instead of hurtling farther out into space or spiraling down to Earth, they hang out in orbit around the planet. You see, Earth's gravity is stronger is some places than others. And satellites can get pulled around by the sun, the moon, even the planet Jupiter. By stating "Adjustments are often needed to keep a satellite on the straight and narrow", the author means that the satellites actually need to follow the curve of the earth. But why did he say "straight and narrow" when he meant "follow the curve of the Earth."? Well, the article states "Adjustments are often needed to keep a satellite on the straight and narrow." This suggests that by having satellites falling strait and narrow, the earth's rotation will make the satellites appear to be curving. When in reality it has been falling down the entire time. Only the earth gives the satellite an allusion that it is curved. 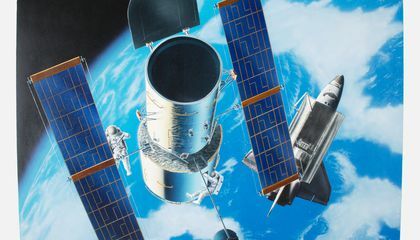 Also, the article says "satellites in low earth orbit -- like the Hubble Space Telescope - can also get pulled out of their orbit by drag from the atmosphere." If the satellites in orbit did not fall narrow to the earth, they might get pulled out by the surrounding planets, stars, and moons. And that would not be good. I’m guessing that the author means they have to make adjustments every now and then so the satellite stays in orbit. I think by the straight and narrow he means follow its correct path. Why do they put satalites in space for? For cell phones or something like that? I think that it is cool to know that a satellite will still in the orbit because of speed and the pull of gravity. I think that this means that satellites that move in the orbit will stay there for a long time. I think that it is amazing for the satellite to have adjustments. I believe that if the gravity were to somehow change, everything would be hectic. I think it is way of saying,"take the right path." This is true because the author said,"But if they're moving at the right speed, they fall at the same rate that the curve of the Earth falls away from them." This means that if they go the correct speed, it won't crash into Earth or fly into space. I was surprised that there are more than 2500 satellites orbiting Earth. I was also surprised that people could figure out how to make things orbit around earth. The author said this because on if there are not a right amount of speed and gravity all the time when going around Earth. They said that satellites when orbiting get pulled from objects such as the Moon, the Sun, and Jupiter. If any of the factors of keeping the satellites from crash down to Earth or drifting away are changed, the people who are watching them need to aline the satellite in the "straight and narrow" to keep it going around Earth in the same path. More than 2,500 satellites have been launched into space over the last fifty years. They stay in space by their own speed and the pull of gravity. The author said the satellites need to stay on the "straight and narrow" for a couple of reasons. First, I think he was referring to the course of the individual satellites. The author said they have to make adjustments to keep the satellites on the correct path. Also, if they didn't adjust the satellites course, they might get pulled out of orbit when they are in places the gravity is stronger. I liked the article. I never realized there were so many satellites that were in space or that scientists had to keep track of them. The Author wrote a good article. I'm really surprised to see that these satellites are staying in earths orbit even though they are just continuously falling toward earth but are held back at an equal distance via gravity, pretty cool. This story was spacious it was cool to think about how the satilights go down to earth slowly and stay in the earths orbit!